I’m a free spirited Sagittarian, currently residing in Queenstown, New Zealand. Once upon a time in a past life, I was a ‘no pain, no gain’ gym junkie body builder and hard house clubber. These days I live a more balanced life by moving my body when I feel and addressing my needs internally. To my judgement, I exist in a more balanced state, following natures’ cycles, ebbing and flowing with the seasons, feeling calm, peaceful, supported and nurtured with each step in life I take. My life purpose/mission is to inspire vibrant health. To re-write what we think we know. The belief that health equals only good food & physical exercise. Health is also beyond our physical. It is our connection to the Earth, to our land, our deepest innermost thoughts, our emotional health, our mental health as well as what food we eat and physical movement. I believe becoming best friends with my inner child, observing my thoughts & working with them, regular dancing, learning and failing continually, keeping my heart open and light, have been key components to ride the waves of life as fluidly as possible. I no longer live conventionally, swapping societies norms for daily guidance and heart based plans. Trusting in the fruits of the Universe to give me what I need when I need it. It’s not always easy, but I am truly living and expressing myself to my fullest capacity. This website is where I express my truth, a place where I share words, stories, insights and lessons with you to free my creativity and support you in aligning to your truth, your Inner Wisdom. 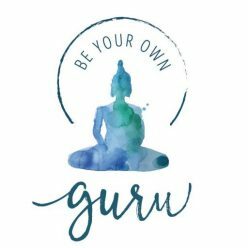 Be Your Own Guru is born from my passion for personal responsibility of self, knowing that the only way we can feel good, the only way we can heal our emotions and physical bodies is by following our unique guidance, no one elses. Over the past 10 + years, I’ve walked in the mud and danced with the rainbows. I’ve experienced some dark places and equally magical ones. Though these experiences have enriched my life and made me who I am today, I’ve drawn upon tools and inner strength that has brought me to a place of deep compassion for others experiencing the same. My service is to remind you of your Inner Guru, to connect with your guidance, remembering why you are here. To listen to your wisdom and follow its whispers in each moment. From this place, we can live our fullest life in harmony with Mother Earth. We align with her callings and those of Great Spirit. In turn inspiring a wave of collective transformation across the globe. Be Your Own Guru was visioned from awakening to the truth of my innate wisdom and power. The only way forward, is in.